These little guys, are wholesome and absolutely delicious! This recipe is super easy and calls for common ingredients, all which I conveniently already had on hand. 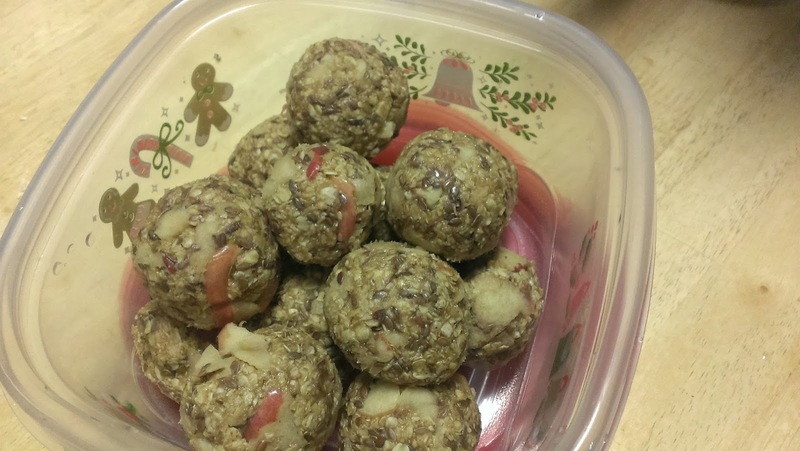 These apple cookie energy bites served as a great snack for me to take to ballet. They have a shelf life of up to four days, if you can make them last that long before eating them all up! 1 cup (not packed) grated apple (about 1 medium); Granny Smith Apples are suggested but I used Red Delicious since that is what I had on hand. Also, I would love to know how one could successful grate an apple, if someone can tell me?! I ended up "peeling" my apple to the core using a potato peel which sufficed. In a large bowl stir together the oats, flaxseed, and cinnamon. 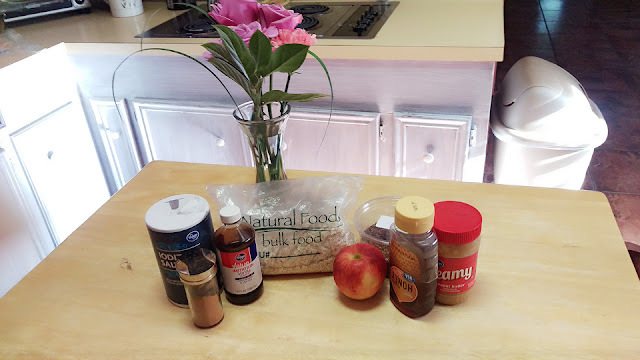 In another bowl stir together the almond butter, honey, vanilla, and pinch of salt until well combined, then pour over the oat mixture and stir until everything is evenly coated. Add and stir in grated/apple peelings. 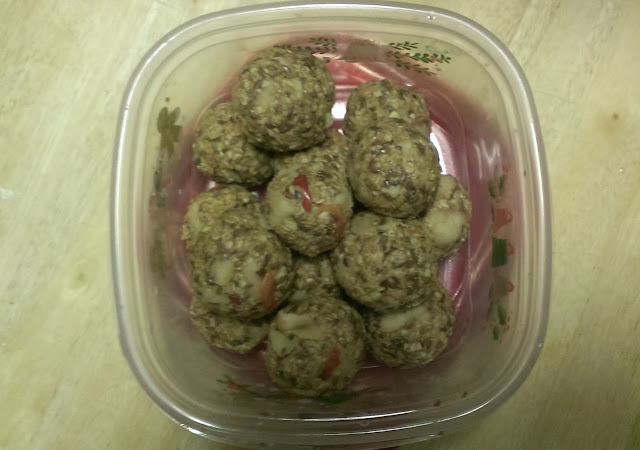 Next, take tablespoon-sized portions of your mixture and create little balls use your hands to squeeze and shape the mixture tightly together; Slightly wet hands will help to keep the mixture from sticking to your hands. And Tada! Your Done! Store the apple cookie energy bites in an airtight container in the refrigerator. I think they taste better after being refrigerated for a few hours before consuming. Enjoy!